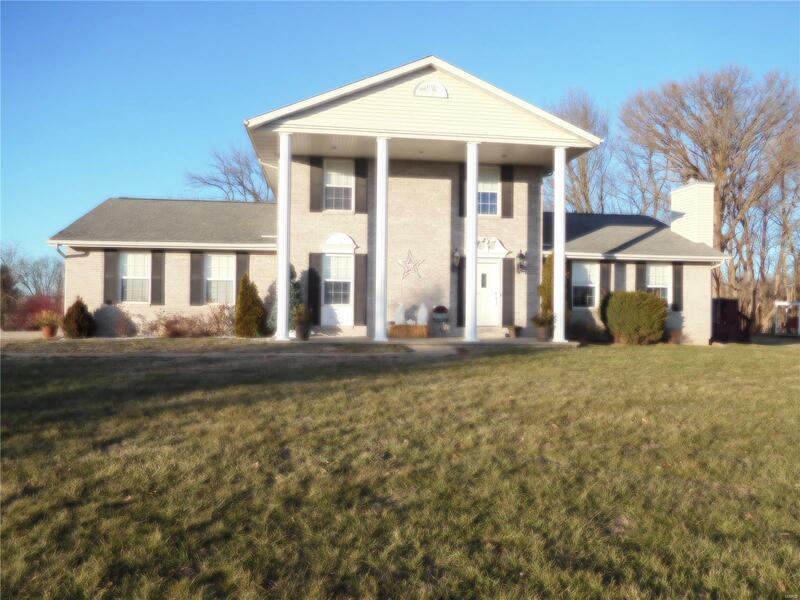 GORGEOUS 2-STORY HOME ON APPROX 2.40 ACRES THAT BACKS UP TO WOODS WITH LOTS OF PRIVACY, JUST WAITING FOR NEW OWNER. Home has open floor plan. Kitchen/dining combo with bay windows and leads to 2-decks that over looks the woods. All equipped kitchen with center island has 4-stools and granite counter tops. Master bedroom has 2-closets, master bath has 6 foot double vanity, jetted tub and separate shower. Upstairs consist of 3-large bedrooms with walk-in closet and full bath with linen closet. Enter into the walkout basement that consist of 15 x 9 bonus room with egress window that is being used as bedroom at this time. Walkout basement leads to a 20 x 18 patio. Over sized garage has cabinets for storage, plus you have a 12 x 10 shed in back yard. NOTE: SELLER IS OFFERING 1-YEAR HOME WARRANTY WITH HMS. BUYERS AND BUYERS AGENT SHOULD VERITY ALL INFORMATION. Lot Dimensions: 39.94 X 257.79 IRRG.